In a previous post I mentioned Christopher Skinner's book, Reading John (Cascade, 2015). This doesn't happen often with books on the Bible, but Reading John: The Movie has been released online. Not since Mel Gibson's The Passion of the Christ has the big screen seemed too small for its subject. In all seriousness, I repeat my recommendation of Reading John for anyone interested in diving into the Gospel according to John but unsure where to begin. There's lots to dialogue with here; Skinner makes observations both interesting and controversial (does he really say you can't say anything about the New Testament until you've accounted for John's Jesus?! ), and always with the heart of someone who longs to teach others to engage the texts of the New Testament with honesty and curiosity. 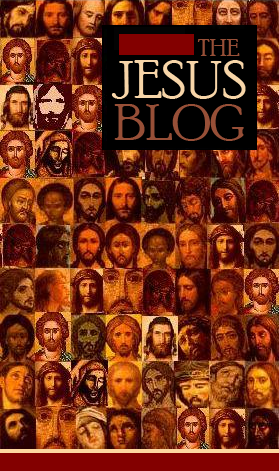 As you know, gentle reader, this blog is devoted to all things Jesus. Quests, criteria, apocalyptic, memory, "blessed are the poor".... that sort of thing. From time to time I also like to post about chocolate peanut butter porters that I drink in Ohio pizza parlors. Imagine my glee when I discovered this lovely brew by DuClaw. Not only does it conflate the flavors of chocolate and peanut butter in a malty porter, it plays upon a nice Christmas theme! For all of you who felt guilty about worshiping at Starbucks (i.e. devil-worshiping Christmas haters) you can enact your penance with just a hint of lingering peanut butter. This rich taste of the incarnation will make you feel like you have hair made of solid gold! This beauty came in the mail today and I couldn't be more grateful. I am presently working on the significance of polis (city-state) culture in identity construction and I am finding Cargill's chapter on Athens especially helpful. Run do not walk to get your copy! Donald Trump is a Presbyterian. He may well be the most famous Presbyterian in the world at the moment. Does this make Trump a Christian? Well, I suppose, sort of…. yeah. As a Presbyterian myself, I would like to make a distinction between identity and representation. In other words, someone can be a Christian (e.g. many Nazis were) and not represent Christianity. Last week Pope Francis said something to this effect: “A person who thinks only about building walls, wherever they may be, and not building bridges, is not Christian. This is not the gospel.” Whether or not Pope Francis was directing this at Donald Trump is now a matter of dispute. Even so, I agree: this is not the gospel. Donald Trump does not represent Christianity for any number of reasons (see below), but does this make him something other than Christian? As much as I want to say otherwise, Donald Trump is a Christian. Trump is Christian in the same way that he is “conservative.” If someone claims a label—especially when that label represents an ideology—it is difficult to prove otherwise. But few will doubt that Trump’s emphasis of his Christianity is political expediency. This claim fits hand-in-glove with his claim to be a conservative. We should not commit the sin that American xenophobes did in claiming that Obama is not really a Christian (such thinking is still prominent among Trump’s following). Rather we should acknowledge that there are Christians who do not, by their words or actions, represent Christianity. This is true in the same way that it is true that there are conservatives who do not represent conservative ideology. (4) faith resembling evangelical Christianity with all of the appropriate dog-whistle comments. There are, of course, more criteria, but these are the table legs of the platform. By these criteria, Trump fails to represent conservative ideology. Fails miserably. And yet, we must acknowledge that conservatives like Trump exist because Trump exists. So, yes. Donald Trump is a conservative who does not represent conservatism. Trump is a Christian who does not represent Christianity. Allow me to add that he called most Mexican Americans rapists, called for a ban of Muslims entering the U.S., repeatedly disparages women, and claims to be able to murder people with no consequence. And the list could go on and will indeed go on as long as Christian voters continue to overlook his clear lack of virtue. Admittedly many Americans (including many Christians) seem have other reasons for supporting Trump. The most common opinion I have heard is this “He has no experience in government. But at least he says whatever is on his mind.” This sort of rationale is (bafflingly) meant as an endorsement. Allow me to pause from the religion talk for a moment and test this out with other occupations. I'll just stick with the Ps. pilot: She has no experience with planes. But at least she says whatever is on her mind. police chief: He has no experience in law enforcement. But at least he says whatever is on his mind. professor of mathematics: She has no experience with mathematics. But at least she says whatever is on her mind. puppeteer: He has no experience with puppets. But at least he says whatever is on his mind. painter: She has no experience with painting. But at least she says whatever is on her mind. plumber: He has no experience in plumbing. But at least he says whatever is on his mind. piano tuner: She has no experience with pianos. But at least she says whatever is on her mind. priest: He has no experience in Catholicism. But at least he says whatever is on his mind. poultry inspector: She has no experience in food safety. But at least she says whatever is on her mind. proctologist: He has no experience in medical science. But at least he says whatever is on his mind. Aside from reality-TV personality, is there any job that this rationale suits? 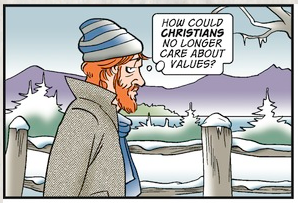 Finally, returning to the topic of Christian virtue, can we agree that lacking a verbal filter is not Christian (Prov. 12:18; 15:4; 18:21; James 3:6-8)? Say what you will about Bush and Obama. Both have had glaring and lamentable imperfections. But both at least had a modicum of professionalism. And that, my friends, is where I am at with Donald Trump. The man has gotten me to say something nice about George W. Bush. Is Trump a Christian? Yes. Does he represent my Christianity? No. The Jewish-Christian Dialogue and Sacred Texts section at SBL (San Antonio, Nov. 19-22) is hosting two sessions. (1) Our section is sponsoring two sessions. One is an open session, all relevant proposals welcome. (2) The other session is titled "Has God Brought Us All Laughter? Jews, Christians, Humor and the Bible." In this session, we seek to explore the role of humor in the interpretation and application of Scripture among Jews and Christians. In keeping with the overall theme of our section, we especially look forward to proposals that also identify or embody this humor as part of Jewish-Christian dialogue. We are hoping to review proposals soon. The Markan Christology debate continues. I will repeat some points that I think need addressing and then address Mike Bird’s non-argument about parallelomania in his latest instalment. 1. Blasphemy. As I previously pointed out, ‘blasphemy’ can cover accusations of different sorts, including legitimacy to serve in the priesthood (Ant. 13.293-295; cf. Lev. 21.14), with one side (in this case a Pharisee) calling for the high priest to step down and the other (in this case a Sadducee) calling blasphemy. As we will see, blasphemy can involve making divine claims in the strongest possible sense. But it does not have to be. Let’s take the case of Mark, again. In Mark 2.1-12 it is about forgiveness or release (the Greek has a wide semantic area, and note we are dealing with a man unable to use limbs or speak) of sins which, as has long been pointed out, can be a divine passive (‘your sins have been forgiven/released by…’). It talks about the son of man having authority on earth. In Mark 3.22-30 we have another, bitter debate over ‘blasphemy’ and it is about the source of Jesus’ authority to carry out exorcisms: God or Satan? The theme of authority continues in the Temple scenes (11.27-33) and when we get to the ‘blasphemy’ in Mark 14.61-64 could it be the culmination of a theme about the source of Jesus’ authority? Almost certainly. Does it mean Jesus is divine in the strongest possible sense? Not necessarily, or at least it is very difficult to know how it would have been perceived. We know the concept of blasphemy could stretch beyond claiming equality with God. And this is where those texts about various exalted figures and concepts are likewise important in confusing matters: we know other figures from Moses to Wisdom could be constructed in highly elevated terms. 2. ‘I am (he)’. As I previous pointed out, we should be cautious given that elevated figures can take on attributes of YHWH. What’s more, the phrase can be used in a banal sense by human beings and so context is crucial. Some points worth observing here. In Mark 6.49-50, it is used by Jesus to inform the disciples that he is not a ‘ghost’. Contrast John 18.5-6 where people step back and fall to the ground when Jesus says ‘I am (he)’. This use is not quite what we find in Mark. Are not the disciples awestruck in Mark 6.49-50 because the elements obey Jesus rather than his use of ‘I am’? it is possible to contest this reading by pointing to texts where human/heavenly figures do things that others take as a divine thing that the Marcan Jesus does, e.g., forgive sins, walk on water, judge the wicked, etc. This is purported to be evidence that the Marcan Jesus is a divine agent rather than a divine person. While I do not dispute the value of using ancient texts to illuminate a given text (see Michael Kok‘s great summary), nevertheless, the issue is what is Mark trying to communicate about Jesus, and the effort to mute his claim by appealing to parallels simply runs afoul of Samuel Sandmel’s famous warning against parallelomania! Parallels are good for mapping how readers familiar with a given text might understand the story – reading after all is matter of context and prior reading experiences – but parallels cannot determine purpose or over power the narrative sweep of a text. Everyone go and re-read Sandmel! This is simultaneously both accurate and inaccurate, or at least can lead us to some absurdities if we believe the rhetoric. The parallels do not have to be used in the sense Bird claims and he gives no example highlighting such behaviour. In this debate, at least as I would use ‘parallels’, such texts are not used to say ‘Jesus was exactly like this or that figure because a non-Markan text says so’ but to establish what people might have understood when they heard or wrote about someone walking on water or when the term ‘blasphemy’ was used, or why John contains details about equality with God and conflict with ‘the Jews’ in his narrative sweep. Bird needs to deal with these arguments and not resort to comparatively meaningless rhetoric about ‘parallelomania’ just because such texts are inconvenient details. But what if we accepted Bird’s use of parallelomania as he has viewed it applied to the Christological debate? Well, we’d have to discount his arguments elsewhere (which regularly cite Jewish texts just like everyone else) if he were consistent. For instance, here is a different argument from Bird elsewhere: ‘Jesus’ action in preaching a gospel and his work of healing and exorcisms correspond with the messianic vocation as spelled out in the Messianic Apocalypse from Qumran’. What happened to parallelomania? Why cite DSS or Jewish texts if they are merely parallels? As Bird knows, it’s what you do with the text that matters, not just listing texts. Bird uses the example from Qumran to explain that Jesus was making messianic claims. In other words, they are texts which helps us understand context and reconstruct perceptions. And the principle underlying this sort of thinking is exactly what is happening when at least someone like me (and I presume plenty of others—Bird, recall, gives no examples so it is difficult to assess) uses examples which could lead to conclusions that Bird does not necessarily want. ‘Parallelomania’ is not a Get Out of Jail Free Card when confronted by problematic data. And then there’s this nagging suspicion I have. It’s almost as if scholars are using Jewish texts as a Good Thing when they support their presuppositions and a To Be Neglected Thing when they do not. I’ve been away from the blog for a short while but have been following the fascinating discussion of Markan Christology, especially the contributions from Anthony Le Donne (here and here) and Brant Pitre (here and here). Anthony prompted me to weigh in, so I will briefly. Let me put my cards on the table. I agree with Anthony that Mark’s Christology is ambiguous. I also agree with Brant that there are numerous places in the text where Mark is indeed trying to raise the issue of Jesus' identity vis-à-vis the God of Israel and implicitly making assertions, and thus I affirm (until I’m convinced otherwise) that Mark has a high Christology. I’ve put this opinion in print in the introductory essay to Jesus among Friends and Enemies (18–29). I also agree with Anthony and Bart Ehrman that, of course, Markan high Christology is nowhere near as explicit as Johannine high Christology. But that’s also neither here nor there, since the question, as I’ve understood it, is really whether Mark intends (however we might be able to decipher his intentions) to indicate that Jesus was, in some way, shape, or form, understandable in terms of the one God of Israel. But let me tie together my agreement with Anthony and my agreement with Brant by emphasizing that, as far as I understand it, Mark is likely being purposefully ambiguous with his statements. Consider the three examples that everyone has trotted out so far. In Mark 2, Mark has the scribes accuse Jesus of blasphemy on account of putting himself—as a forgiver of sins—in the position of God alone (or “the one God”) (Mark 2:7). True enough, Jesus’ statement in Mark 2:10 (“…so that you may know that the Son of Man has authority on earth to forgive sins”) can be read to say that Jesus, as God’s representative, has been imbued with God’s authority as Son of Man, and many have read the overall narrative as such. Nevertheless, it remains significant that—at the level of the narrative—in Mark 2:7 the question of Jesus’ identity vis-à-vis the one God, the referent of the Shema, is raised. In other words, Mark has people around Jesus asking whether he should be doing the things that God alone does and thus I am entirely unconvinced by arguments that Mark’s narrative is uninterested in the question. It might be uninterested in answering it the way GJohn answers it; but it’s hardly uninterested. Similarly, with the walking on the water in Mark 6, I agree with Brant that the ego eimi in 6:50 is significant, and precisely because in numerous HB/OT texts, God alone has the power to control the weather and sea (see Mark 4) and walk on water (Job 9:8; 38:8–11, 16, 34; Pss. 65:7; 77:19; 89:9). Now, it needs to be said that, in my opinion, Daniel Kirk andYoung have demonstrated that claims about controlling the water do not have to be read as equating someone with God; Psalm 88:26 LXX (89:25 MT) portrays God as granting power over the sea and rivers to the Davidic king with no indication that the Davidic figure then appears in the same category as God himself. But proving that Mark 4 and 6 do not have to be read in this manner is not proving that they cannot be, and I suppose this is my point. Mark presents readers with a narrative that certainly could be read in that way, just as the ego eimi could be read as “It is I” or “I Am." In light of the fact that Mark 2 has already raised the issue of Jesus' identity and God's identity, I'm less inclined to see this as mere coincidence and more inclined to see it as part of a pattern of purposeful ambiguity whereby Mark can claim what he wants to claim but without doing so explicitly. 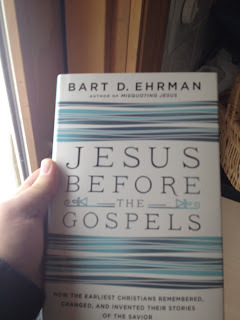 And again, with Jesus’ usage of ego eimi in the “Jewish trial” of Mark 14, it can be read in both ways, as Bart Ehrman’s response to Brant, in which he essentially conceded Brant’s point, indicated. (Bart eventually retreated to the historical Jesus, but Brant had asked about the narrative of Mark, not the historical Jesus.) It could be read as “Yes” or it could be read as the divine name, which would justify the response of the high priest in Mark 14:63. Once more here the narrative tips its hat that there is something more to Jesus' answer than a mere affirmation that he's "just" the Messiah, but not in an utterly definitive manner. Let me end with two further, and intertwined, points relating to my overall suggestion that Mark here knows what he is doing, and is being purposefully ambiguous, presenting a narrative that implicitly places Jesus in identity categories of the God of Israel but in such a way that they are not a hard and fast claim like “Jesus is God.” First, I think it significant that, in the history of scholarship, scholars have been divided on the identity of the Son of Man (Is Jesus referring to himself or someone else?) just as much as on whether Jesus makes a claim for divinity in the Markan occurrences of ego eimi. Scholars have argued both, and with justification: if Mark is being purposefully ambiguous in claims for Jesus "true" identity, there is evidence to support both arguments. With regard to the latter, can it be read as just “Yes”? Sure. Can it be read as “I Am”? Sure. And maybe that’s the way it was supposed to be. In short, I personally think that Mark is explicitly raising the question of Jesus’ identity vis-à-vis the God of Israel via his characters and implicitly answering it with a high Christology, but in such a fashion that I can thoroughly understand why others would read it alternatively. Indeed, I think it very likely that Mark intended to write such an ambiguous narrative, and thus knew what he was doing. Larry Hurtado's contribution to the latest Wright-in-review volume takes issue with a central theme in Tom's work: in Jesus, YHWH returns to Zion. Given the recent fodder on early-high Christology at this blog over the past two weeks, I thought that the link would be appropriate. NB: Hurtado is here taking issue with Wright's reading of Paul's letters. "I judge his claims faulty, unsupported by the evidence. What I see is that the earliest use of the OT theme of YHWH’s return to Zion/Israel, in Paul’s letters (our earliest texts), posits that it is in Jesus’ “second coming” (parousia) that this is fulfilled. See, e.g., the use of such imagery in 1 Thessalonians 3:13, where Jesus will come (again) “with all his holy ones” (μετά πάντων τῶν ἁγίων αὐτοῦ), which seems to draw this phrasing from Zechariah 14:5 (one of the “YHWH’s return” passages)." Indeed, the volume is probably worth the cover price just for this one essay. Why Is Jesus Accused of Blasphemy in Mark 14? This past weekend, I was extremely fortunate to be able to attend the 2016 Greer-Heard Theological Forum entitled “How Did Jesus Become God?,” held right here in New Orleans. The forum featured a Friday night exchange between and Bart Ehrman and Michael Bird, followed by an extremely stimulating series of Saturday lectures by Simon Gathercole, Dale Martin, Larry Hurtado, and Jennifer Knust. It was a fantastic weekend. First, you should watch the entire Friday night session with Ehrman and Bird online. You can view Bart’s entire answer here (at 2:36:08-2:40:00). It’s worth watching. Now, if Ehrman is right here—and I think he is—then Mark’s Gospel climaxes with Jesus making a divine claim in response to a question about his identity. To be sure, it is not as explicit as some of the claims in the Gospel of John—to say nothing of later christological formulations in the New Testament and beyond. Nevertheless, however one interprets the exact meaning of the allusions to Daniel 7 and Psalm 110, and whatever one makes of the question of historicity, on the level of the Gospel narrative, what is clear is that Caiaphas and the Sanhedrin regard Jesus’ answer to the question about his identity as so blasphemous that it is deserving of death (Mark 14:64). One thinks here of the words of Philo, who decries any “man” who “has dared to compare himself to the all-blessed God” (On Dreams 2.130), or of Josephus’ statement that anyone who “blasphemes God” should “be stoned, then hung for a day…” (Antiquities 4.202). As I point out in The Case for Jesus, this is one of the main problems with the oft-repeated assertion that Jesus only makes divine claims in the Gospel of John. To the contrary, in the Gospel of Mark, the controversy about Jesus begins with accusations of “blasphemy” against him for doing something that only “the one God” (εἷς ὁ θεός) can do when he declares the sins of the paralytic forgiven (Mark 2:3-12). [Notice here that the expression “the one God” is often obscured by English translations (cf. Deut 6:4; see Yarbro Collins, Mark, 185).] Moreover, the public ministry in Mark climaxes with a formal charge of “blasphemy” when Jesus answers Caiaphas’ question about his identity (Mark 14:53-65). So, what are your thoughts? 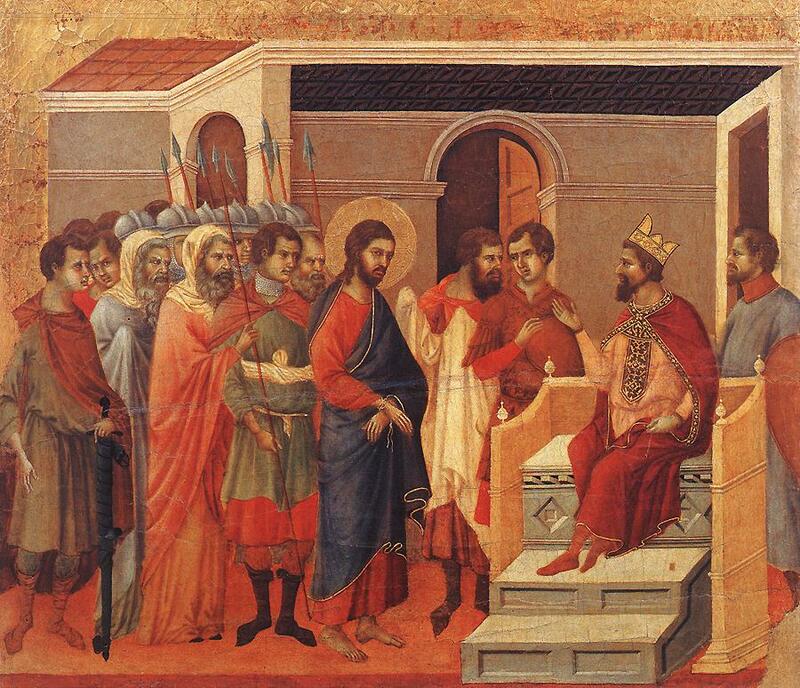 Is Jesus claiming to be divine in his response to Caiaphas in Mark 14? And if he’s not, then why does Caiaphas charge him with blasphemy in the context of a question about his identity? And keep in mind—as Ehrman rightly pointed out—that, despite what many Christians assume, it isn’t blasphemy to claim to be the messiah. "A line not always straight, but nonetheless continuous, leads from the anthropomorphisms of the earliest pages of the Bible, to the incarnation of God in Jesus Christ." I'd like to thank the fine people at HarperOne for sending me Bart Ehrman's latest book. Looking forward to getting into it soon! Is Christology the Wrong Category? To continue the ongoing conversation on Mark's notion of Jesus' Divinity, divine agency, or lack there of, I ask a simple question: is "Christology" the wrong category by which to measure Mark's Gospel? (1) GMark uses the term Christos as a category for Jesus. Furthermore, it seems clear that one of GMark's unfolding plot lines involves revealing and demonstrating what this means. (2) Some form of the parallelism represented by Romans 1:3-4 was in circulation prior to Mark's composition. I.e. some folks in the early Church were meditating on Jesus' significance in similar language/titles that we find in GMark. (3) It is almost impossible not to view these titles (Christ; Son of God; Lord) and language (death and resurrection) without using the theological categories of a much later Christian period. 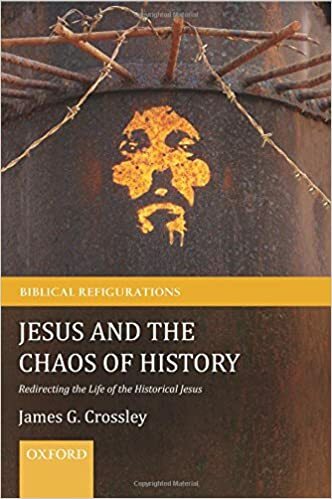 Points one and two suggest that GMark exists in a world of theological categories and that something like "Christology" was already unfolding. Point three suggests that if indeed Christology (or a like category) was a concern of GMark, it was a category under construction as opposed to something that was doctrinally stable. Of course NT scholars have been using the term "messianism" for sometime now. Part of the reason for this is to sidestep some of the problems of anachronism. But in my experience, the category of "messianism" can bring the same Christological assumptions to the text. So I am curious to hear your thoughts: is "Christology" the wrong category by which to measure Mark's Gospel? Thanks for the Great Conversation about Mark's Gospel: And Happy Mardi Gras! First, I wanted to thank everyone--especially Anthony and James--for their excellent posts and for the ongoing conversation about the identity of Jesus in Mark. I'm thrilled to be part of this blog and truly grateful for the discussion. So rich and stimulating. Second, I'm sorry that I wasn't able to respond immediately to all the great comments on my original post about whether Jesus is merely a "human messiah" in Mark. I've been away at a conference for several days and needed a bit more time to read carefully through the excellent and thought-provoking comments. However, if you're interested, I've posted some brief replies to your comments on the original post. Finally, straight from the heart of South Louisiana, I'd like to wish all the readers of the Jesus Blog a very Happy Mardi Gras. I'll be putting down the keyboard for a few days in order to spend time with family and friends and eat as much King Cake as I can before Ash Wednesday falls upon us. Now I've read just over half of the letters that have come in, I don't feel as guilty about picking one out. At random, I chose this one from Alan, Norwich (UK). Sometimes even a car fan such as myself likes to escape the hellish congestion around the A1042 Ring Road and go on my weekly country ramble. With my faithful Labrador Retriever, Bouncer, we set off to the north Norfolk coast for a delightful meander, taking in Blakeney, Stiffkey, and Warham. With Bouncer off chasing anything that ruddy well moves, I snapped off a branch for a makeshift walking stick and began thinking about the recent blog discussions on Markan Christology. Is it high or low? What do bloggers mean by "divine"? So piqued was my interest that I decided not to visit the local owl sanctuary but instead stop for a pint of Woodforde's Real Ale at Wells-next-the-Sea and google agony aunts specifically geared towards answering questions about Jesus. Lo and behold, such a thing exists on a blog which has been at the centre of these Christological debates! I appreciate that agony aunt genre has constraints and there is absolutely no need to spend time linking to, or engaging with, the other discussions as they are easy to find. But, please, could you give us some brief thoughts? Cheers Alan, lovely stuff. While some complain about the flatness of that part of the world, I share your appreciation for the local environment. I won’t engage with all the blogs due to the aforementioned constraints and I appreciate you allowing me the freedom to blog out loud on this. First, we have to ask ourselves, what do we mean by ‘divine’ and ‘high’ and ‘low’? By ‘divine’ do we mean Jesus presented as something like co-equal with God? Do we mean Jesus is like an angel or an elevated figure like Moses,Melchizedek, Messiah, or Enoch? Remember the language of theos or El/Elohim can be applied the God of Israel but it is not technically the name of this god and it is language that can also be used to describe angels or elevated figures. So already we face problems. In the case of Mark (and here I may be echoing issues raised by Le Donne), we don’t necessarily have direct narrative indications as we do in (say) John 5 or John 10 where equality with God (whatever that might precisely mean) is flagged up and deemed problematic for ‘the Jews’. There aren’t really such conflicts of this variety in Mark. What we have are gaps in our knowledge and scholars inevitably try and fill these gaps. Some, on the blogs, have turned to textual clues, but even these are ambiguous. Let’s start with blasphemy. Is this an indication of something divine? Maybe. Johannine equality? Not so clear. ‘Blasphemy’ can cover accusations of different sorts, including legitimacy to serve in the priesthood(Ant. 13.293-295; cf. Lev. 21.14), with one side (in this case a Pharisee) calling for the high priest to step down and the other (in this case a Sadducee) calling blasphemy. 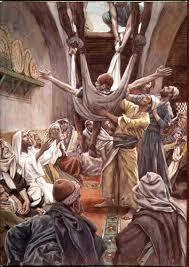 It had been taught: On that day R. Eliezer brought forward all the arguments in the world, but they did not accept them. Said he to them:‘If the halakah agrees with me, let this carob-tree prove it!’ Thereupon the carob-tree was torn a hundred cubits out of place – others affirm, four hundred cubits. ‘No proof can be brought from a carob-tree,’ they retorted. Again he said to them: ‘If the halakah agrees with me, let the stream of water prove it!’ Whereupon the stream of water flowed backwards. ‘No proof can be brought from a stream of water,’ they rejoined. Compare the similar language in Mk 4.41: ‘Who then is this, that even the wind and the sea obey him?’ I’d use Greek, Alan, but it’s a bit of a hassle right now. Nevertheless, the linguistic similarities are there if you check. Another text (sometimes noted) is the description of the anointed figure in 4Q521: ‘[for the heav]ens and the earth will listen to his anointed one…’ Hopefully now you can see that the Markan miracles do not necessarily have to be taken as indicating divinity in the strongest possible sense. What about ‘I am (he)’? Again, we should be cautious given that elevated figures can take on attributes of YHWH. What’s more, the phrase can be used in a banal sense by human beings (as Pitre points out) and so context is crucial. Some points worth observing here. In Mk 6.49-50, it is used by Jesus to inform the disciples that he is not a ‘ghost’. Contrast John 18.5-6 where people step back and fall to the ground when Jesus says ‘I am (he)’. This use is not quite what we find in Mark. Are not the disciples awestruck, Alan, because the elements obey Jesus rather than his use of ‘I am’? More could be said but you get the idea. Another complicating factor is audience. How might the audience(s) have interpreted this? How might the author or authors of Mark have interpreted his/their own text? Well, we don’t know very much. Given that we have seen experts on the Bible blogging different possibilities, presumably ancient experts in the Bible (or non-experts) have read divinity in the strongest sense into Mark. But, prior to John, we don’t know. Mark and his community or communities or audience or audiences may or may not have worshipped the fully divine Christ but we lack the sort of evidence that we have in John’s Gospel and we are always left with that difficult question: why are the Johannine Christological controversies not present in Mark? I hope that helps you ponder, Alan, and I hope it helps the real ale go down smoothly. If you have a question to contribute to "Just Ask James" email to DearDrCrossley@gmail.com. Markan Christology: Low, Underdeveloped, or Understated? Yesterday Dr. Pitre weighed in on the recently revived Markan Christology debate with a wonderful reflection on the walking-on-water episode in Mark 6. Brant reminds us that John Meier, Joel Marcus, Adela Yarbro-Collins, Eugene Boring, and Richard Hays (thus a nice spectrum of fantastic scholars) take Jesus’ egō eimi saying to suggest Jesus' divine status in some sense. If we add Pitre's name, this list becomes even more formidable! We are then left with the question, in what sense is Jesus portrayed as divine? Does Mark put forth Jesus as a manifestation of Divinity, as a semi-divine agent, or as someone who benefits from divine agency as a mediator of the divine? As I mentioned in the comments section, I think that the debate is fascinating. I am not certain whether the Second Gospel is quite as explicit as the Fourth Gospel on this matter and I am committed to reading both on their own terms. Traditionally NT scholarship (and Brant links a few readers along these lines) concludes that Mark must be read as a representation of lower Christology. I have tended to think of Mark, rather, in terms of a collage of underdeveloped and inconsistent images of divine agency. So I am not opposed to reading Mark 6 (for example) as a wink and nod toward Divinity. Brant points out that in conjunction with the "It is I" or "I AM" statement in Mark 6, Jesus intends to pass them by [καὶ ἤθελενπαρελθεῖν αὐτούς]. I would add also that in addition to egō eimi Jesus also says the equivalent of "fear not!" which is suggestive of like theophanic episodes [ἐγώ εἰμι, μὴφοβεῖσθε]. Brant intriguing plays up the "passing by" statement as an echo of theophany (cf. Job 9:8 LXX). The most cautious solution would be to call these hints toward Divinity inconclusive. But what is the most we could say? Mark is echoing, hinting, winking. Let's play along for a moment and affirm that Mark is indeed intending a statement of Jesus' Divinity (in some sense) with this episode. Can we agree that whatever statement is being made, it is understated? If indeed we can agree that Mark is understating his Christology here, what do we make of the fact that Jesus intends pass them by but doesn't do it? The language of "passing by" in this context is intriguing language to be sure. But Jesus ends up not doing it and instead gets into the boat. It's like we almost get a symbol for Divinity and then we don't quite get it. Rather than transcendence we get immanence. This is just the sort of thing that I love about Mark's Gospel! Is it enough to revel in the beauty of the ambiguity here? Must we connect the dots in a Johannine way? Is Jesus Merely a “Human Messiah” in Mark? The question of Markan “Christology” has recently been in the biblioblogosphere. In particular, I’ve been following with interest the back and forth between Michael Bird, James McGrath, Dustin Smith, some quotes from Daniel Kirk, and Joel Watts on the whole question of Mark’s presentation of Jesus’ divine identity. Several aspects of this text, especially when situated in an ancient Jewish context, strongly suggest that Jesus is being depicted as the God of Israel. Once again, taken in isolation, “I am” can simply mean “it’s me”. But in the context Jesus’ extraordinary manifestation of power over creation, “I am” functions as a revelation of his divine identity. In other words, in a first-century Jewish context, the account of Jesus walking on the sea is not just an epiphany, but a theophany--a revelation of his divine identity to his disciples. 2. Jesus Wanted to “Pass Them By”? Should there be any doubt this, it’s important to highlight an otherwise puzzling detail of the walking on the sea: the uniquely Markan statement that Jesus "wanted to pass them by” (ἤθελεν παρελθεῖν αὐτούς) (Mark 6:48) What are we to make of this detail? John Meier: Clearly, in such a context the verb parerchomai (“pass by”) refers to an epiphany in which Yahweh or Jesus wills to draw close to someone so as to be seen in transcendent majesty, to proclaim his identity… The conclusion from all this is clear: the verb parerchomai in Mark 6:48 intends to present Jesus walking on the water in terms of an OT epiphany. (Meier, A Marginal Jew [ABRL; New York: Doubleday, 1994] 2.917 [emphasis added]). Third and finally: if any doubt should remain, however, I would call attention to one last point. Once again, the meaning of the words “I am” in Mark 6:50 must be determined by the context. And in context, Jesus doesn’t just say “I am”; he declares “I am” while walking on the sea. (περιπατῶν ὡς ἐπʼ ἐδάφους ἐπὶ θαλάσσης) (Job 9:8 LXX). Richard Hays: In this narrative context, there is little doubt that we should also hear Jesus’ comforting address to the disciples (“It is I” [ἐγώ εἰμι]; do not be afraid” [6:50]) as an echo of the self-revelatory speech of the God of Abraham, Isaac, and Jacob speaking from the burning bush in Exodus 3:14… Thus, when Jesus speaks the same phrase, “I am,” in his sea-crossing epiphany, it serves to underscore the claim of divine identity that is implicitly present in the story as a whole. (Hays, Reading Backwards: Figural Christology and the Fourfold Gospel Witness [Waco: Baylor University Press, 2014], 26). I have to confess, I never saw this clearly before reading Hays’ recent book. But I should have, since it was also pointed out some time ago by David Friedrich Strauss, who states that Jesus’ “ascendancy over the law of gravitation” (nice!) is in effect to “exhibit himself, as it is said of Jehovah, Job ix.8, LXX., περιπατῶν ὡς ἐπʼ ἐδάφους ἐπὶ θαλάσσης , walking upon the sea as upon a pavement.” (Strauss, The Life of Jesus Critically Examined [London: SCM, 1972], 504]. Obviously, more could be said. But I post this for two reasons. 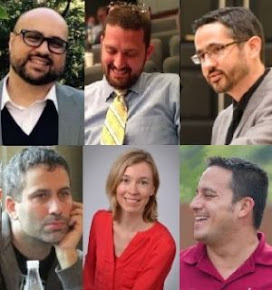 First, maybe I missed it, but I saw no references to any of the scholars I cited above in the recent comments by James McGrath or Dustin Smith. I’d love to hear what those engaging in the debate over Mike Bird’s original post think. Are Meier, Marcus, Yarbro-Collins, Boring, and Hays off base to see Jesus’ egō eimi saying in Mark 6 as a reference to the divine name? If so, how does one explain the multiple connections between Jesus walking on the sea and key OT theophanies? Second, yesterday, I had a new book on Jesus come out from Image Books (Penguin Random House). Just to be clear: I’m not talking about Jesus and the Last Supper, the academic monograph that Eerdmans just published in November 2015. Because I’m a glutton for punishment, I decided to publish two new Jesus books just a few months apart! The new book, entitled, The Case for Jesus, was released yesterday and written for a general audience. At the heart of the new book is the question of the divine identity of Jesus in the Synoptic Gospels. What I’ve shared above is just one small piece of the puzzle. To sum up: when we combine (1) Jesus’ use of egō eimi, (2) the reference to him “passing by,” and (3) the context of him walking on water (! )—is it really tenable to claim that Mark makes no attempt to “suggest, imply, or hint” that Jesus is anyone other than “the human Messiah”? 1. Are Meier, Marcus, Yarbro-Collins, Boring, and Hays off base to see Jesus’ egō eimi saying in Mark 6 as a reference to the divine name? 2. If Jesus is YHWH in person—and remember, “I am” is the Creator God’s name—then why doesn’t that have implications for the debate over Jesus’ preexistence in Mark? 3. Do you think an academic monograph exploring passages like these would be a worthwhile project? Congrats to Rachel Held Evans!